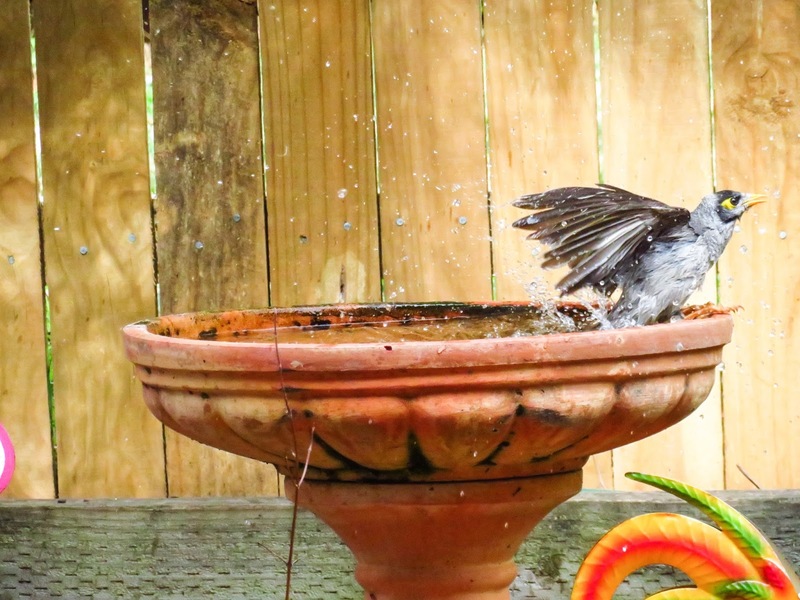 A birdbath presents a setting to observe the behaviour of the local bird life. 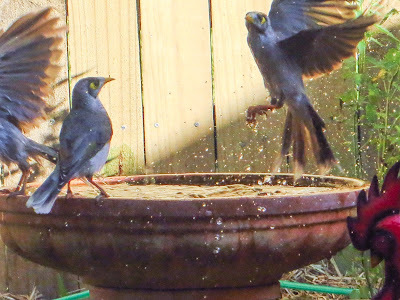 A family of Noisy Miners have adopted the birdbath. 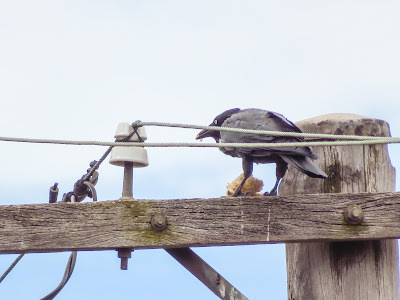 For us, it has been very entertaining to sit in our lounge and watch the antics of the birds splashing around. "Can't a bird get some privacy?" Even the family cat loves the birdbath... We are fortunate in that she does not stalk our local birds. Due to the success of the first birdbath, we installed a second in the front yard. The original intention was to provide a water source for the local butterflies. 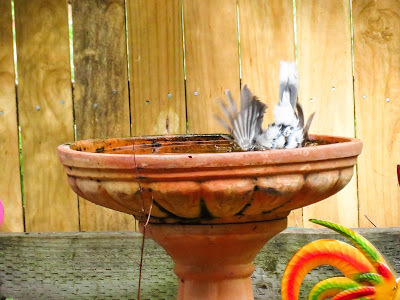 Accordingly, we placed a layer of rocks in the bottom of the basin… perches for the butterflies to alight upon in order to drink from the lapping water. Unfortunately, the front ‘butterfly bath’ was overtaken by large birds, such as Crows, Magpies and Currawongs. Obviously, the arrival of these creatures became a strong deterrent to butterflies. So, going with the natural flow, we removed the rocks from the base of the bath, allowing the birds to use the bath effectively. Big mistake! 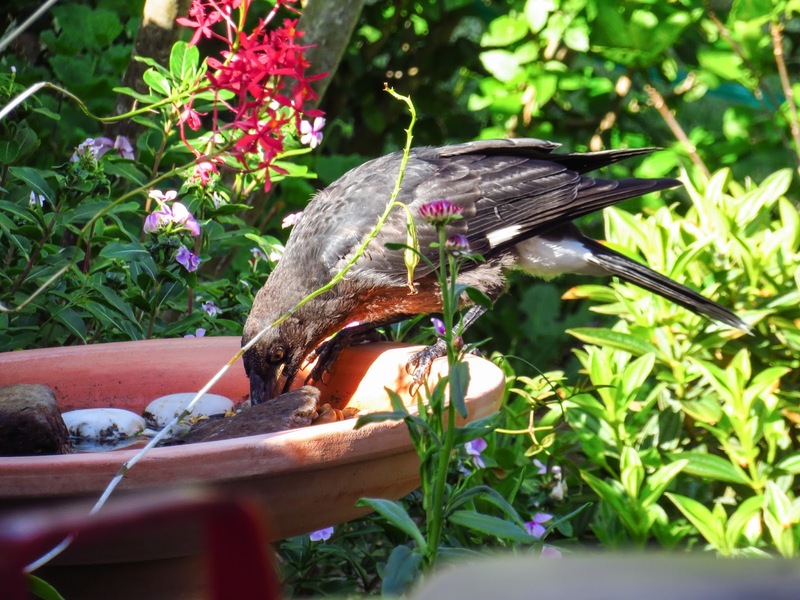 A young Currawong drinks from the 'Butterfly Bath'. A large Crow, ready to dunk its bread roll. 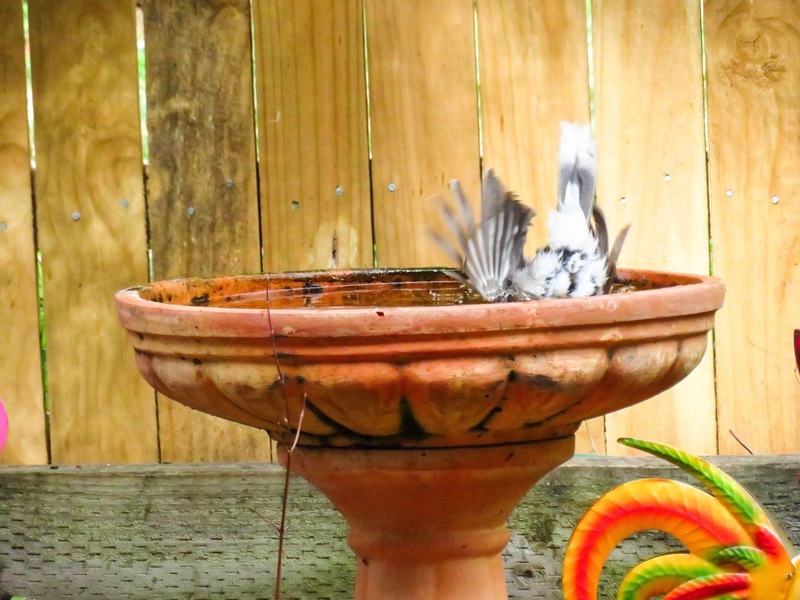 Today, the front yard birdbath is a garden monument. Nevertheless, the birdbath has been a pleasurable and entertaining purchase for us, and a valuable source of water for our local suburban wildlife.